It is impossible to describe the beauty of Georgia. Variety of landscapes, the highest mountains in Europe, rapid rivers, ancient churches and monasteries of early Christianity, cave towns and other historical monuments which are silent witnesses of Georgia’s great history. Georgians are very proud of their country calling it Sakartvelo and consider it the heavenly spot on the earth. 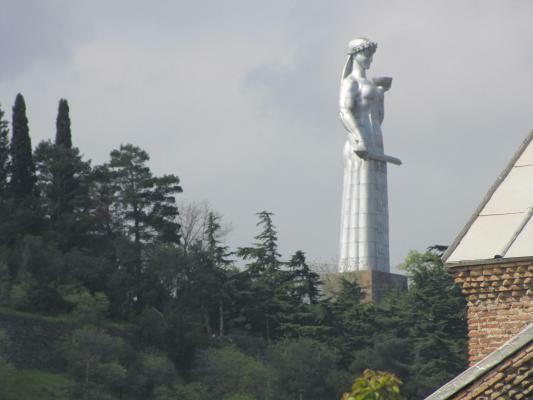 According to legend God gave to Georgian people the small plot reserved for himself. Georgia is considered as the birthplace of wine. Georgians are proud to present visitors with some of the finest wines in the world. The Georgian hospitality, cheerful feasts with traditional toasts, world-renowned art of singing and colorful dances which are part of highly developed Georgian culture.